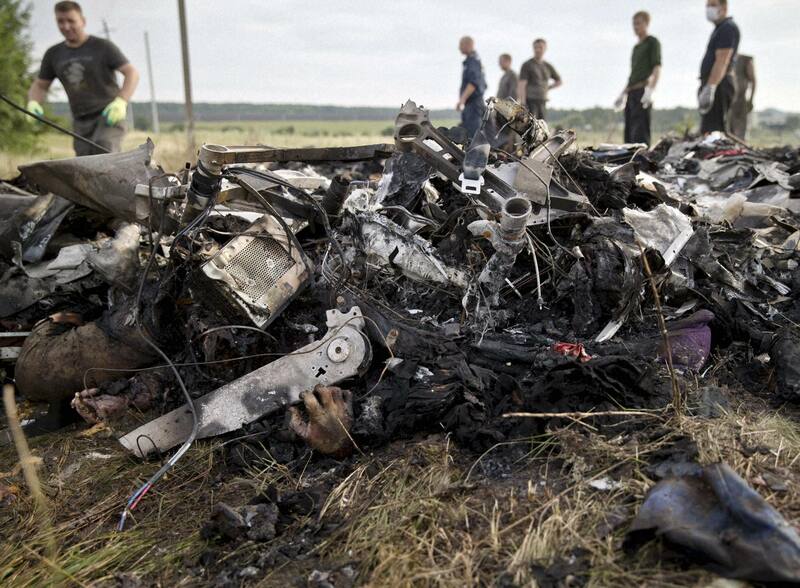 Human remains are seen amongst aircraft parts as emergency workers look for bodies at the crash site of Malaysia Airlines Flight 17 near the village of Hrabove, eastern Ukraine, Saturday, July 19, 2014. 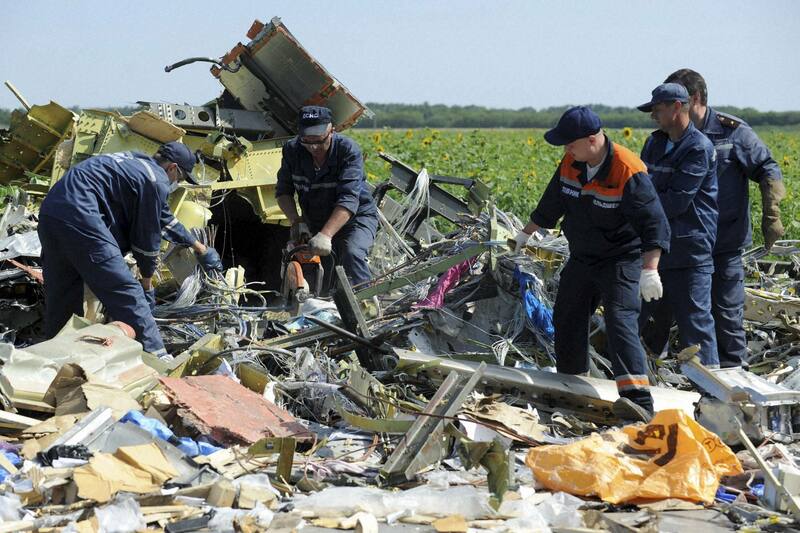 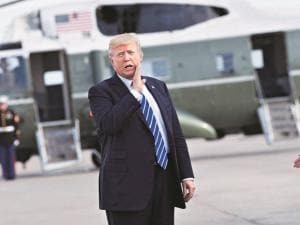 World leaders demanded Friday that pro-Russia rebels who control the eastern Ukraine crash site of Malaysia Airlines Flight 17 give immediate, unfettered access to independent investigators to determine who shot down the plane. 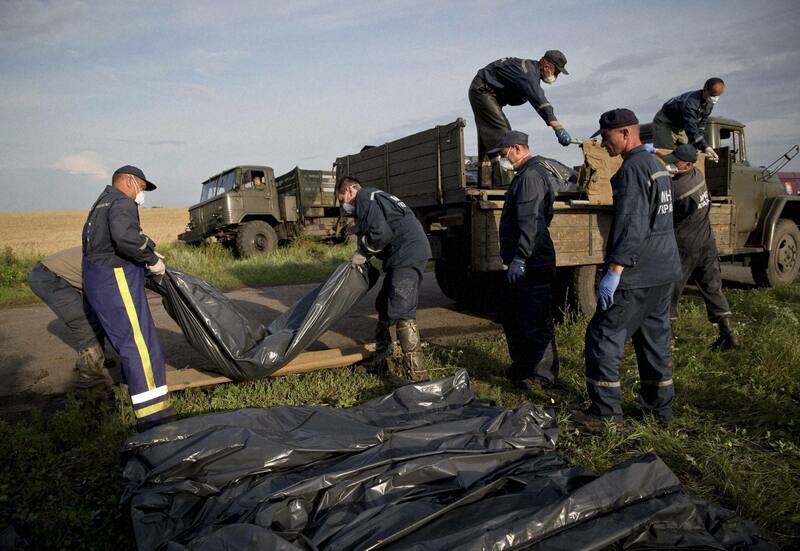 Emergency workers load bodies of victims on a truck at the crash site of Malaysia Airlines Flight 17 near the village of Hrabove, eastern Ukraine, Saturday, July 19, 2014. 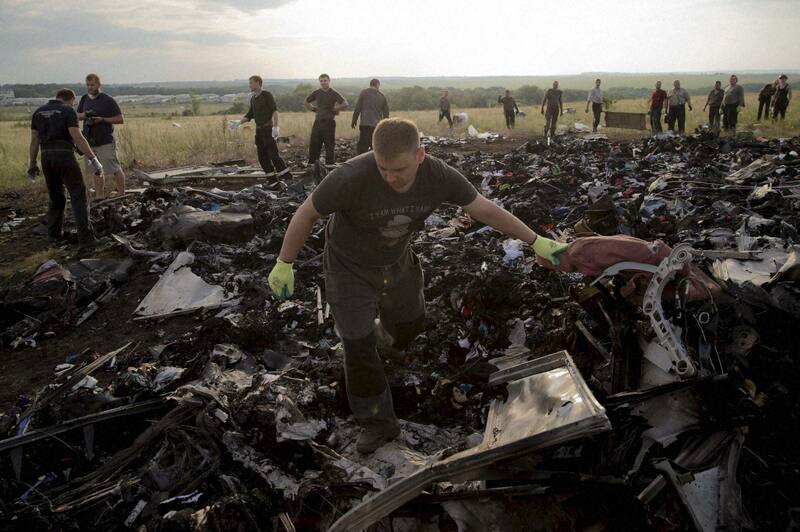 World leaders demanded Friday that pro-Russia rebels who control the eastern Ukraine crash site of Malaysia Airlines Flight 17 give immediate, unfettered access to independent investigators to determine who shot down the plane.